It seems the closer we get to Sony’s PlayStation event, the more clearer the leaks become. We did expect this, given the PS4 developer consoles were probably shipped to many different loyal development studios. This is the second PS4 controller to look very familiar, we have another leak showing the same design, same touchpad and same changes in the dualshock design. The leak actually corresponds with the previous one in every single way, apart from we find this PS4 controller has a little more width, this could be due to the image getting stretched. 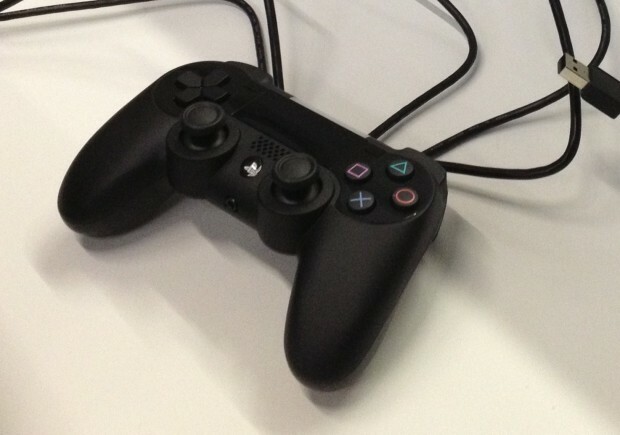 All this points to is concrete evidence that the PS4 controller will come with a touchpad/touchscreen. We aren’t sure what the touchpad will be used for, although we suspect it may help with menus and operate somewhat like the Wii U touchscreen. Again, these are most definitely development models, Sony’s prototypes for developers to get used to. This allows them to get the feel of the gaming experience, in order to hopefully make a better product. We can’t say if Sony are thinking about anything else for the PS4 controller, we suspect that if they have sent out developer versions, they are all but ready to bring it out to retail. In our view, the Sony event will be a small preview of what the PlayStation 4 has to offer, including possibility streaming old games, buying digitally, integrated motion sensors, powerful frame rate games, huge multiplayer and a better UI experience. All this points to a pretty even battle between the two console systems, although we suspect the Ouya, Gamestick and Steam Box to all be in retail production by then. We also suspect Apple is preparing to move for the living room with the Apple TV, sometime this or next year. We will have to wait and see what Sony has been cooking up for us at the event on Feb 20.